Can you carry a brother to the finish line? The culture of walang iwanan can be practiced in many different ways. In Gawad Kalinga, we share the gift of presence to families who are starting to journey out of poverty. In Bayanihan Race 2018, we will run together towards a common goal. Together with volunteers and community members, we will race and cross the finish line together. We will leave no one behind! 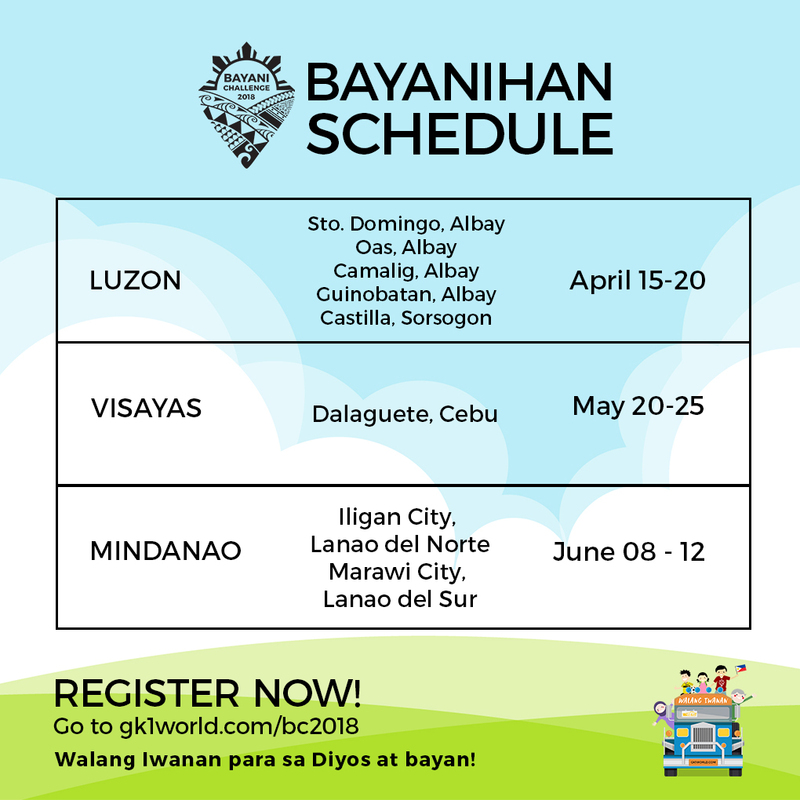 Bayanihan Race is the first-ever national running event promoting wellness and camaraderie across the Philippine archipelago. You run for fitness, you also run for the community. Part of the qualification is a community project proposal from each team of 6 composing of 3 volunteers and 3 Gawad Kalinga/Barangay Walang Iwanan community members. Be part of our journey through solidarity. Champion a community, run for hope!